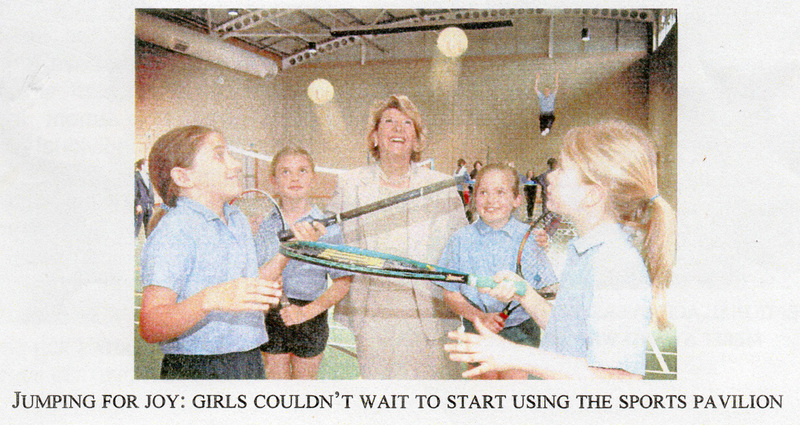 The Church High Sports Hall – or Sports Pavillion as it was intended to be called – was opened on April 18th 2002 by Dame Margaret Barbour, President of the New Century Challenge Appeal. The Challenge was to raise £600,000 for the development of a new ICT Suite, Sports Pavillion and Learning Resources Centre fit for the 21st Century within the school campus. 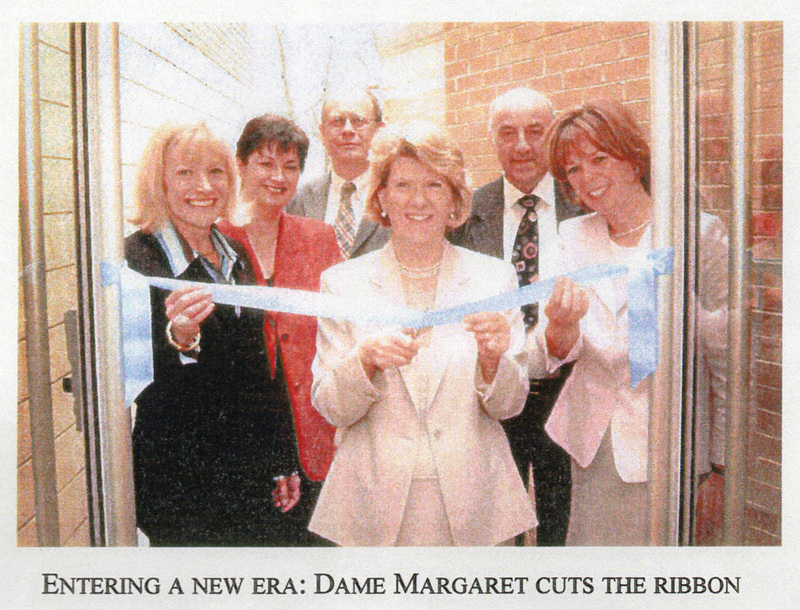 The Appeal was launched on 12th October 2000 and the final stage was only reached in 2003 when the Old Gym was transformed into the mezzanine-level LRC. The picture shows : Church High Ladies, Front Row (Left to Right) – Lesley Smith (Headmistress), Joy Gatenby (Junior School Head), Dame Margaret Barbour, Mrs Gill Gilthorpe (former Chair of Governors). Gentlemen – Mr Jeff McIntosh (Chair of Governors) & Mr Peter Southern (Governor). Church High’s Sports Co-ordinator at that time was Dorothy Chipchase, former international athlete, GB team manager & coach, national athletics coach and national UK Athletics Education and Training Manager. She successfully drove the Sports and Fitness Challenge which culminated in the School achieving a ‘Sports Mark’. 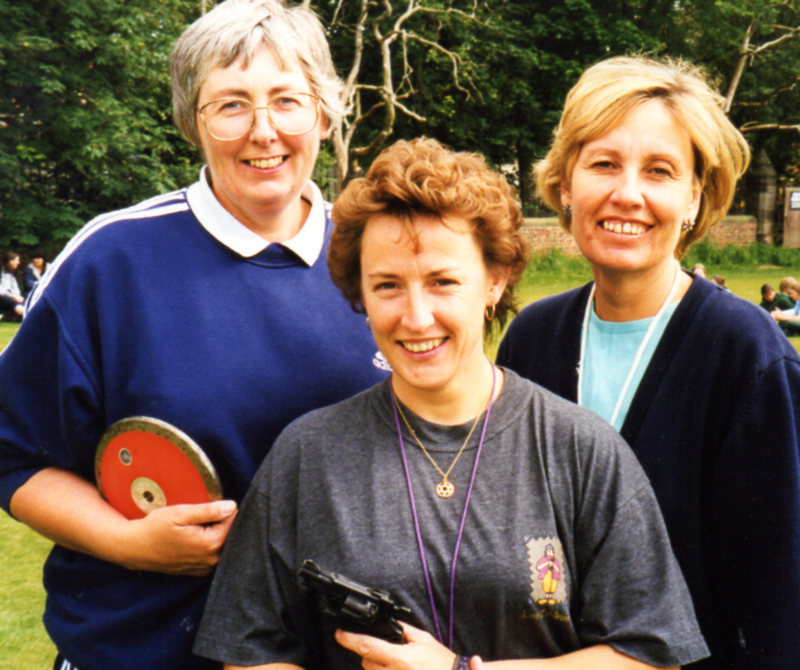 Dorothy Chipchase (left) pictured on Sports Day in 1998 with PE Dept colleagues Sandra Barnett and Mary Johnson. 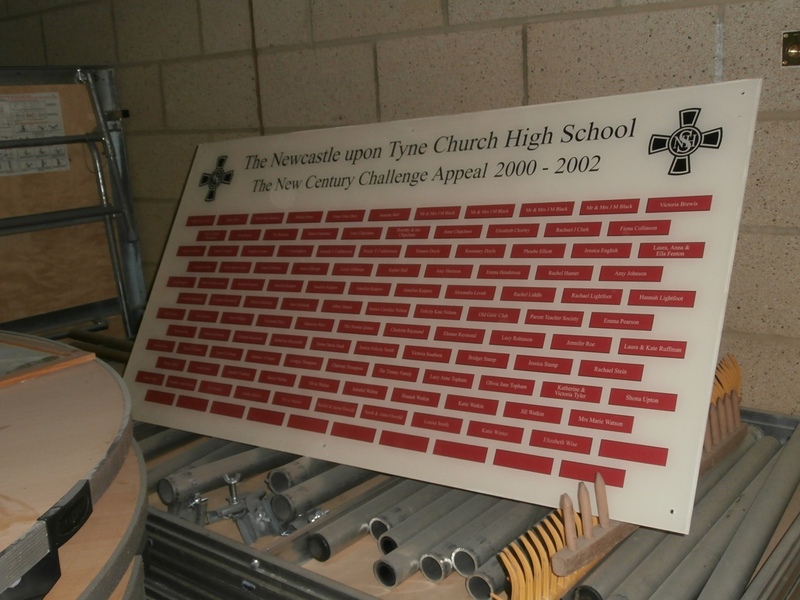 The heart of the success of the Sports Challenge fundraising was the ‘Buy-a-Brick’ Appeal which was celebrated in the Donors’ Plaque which used to be prominently displayed in the Sports Hall Entrance. ‘Buy-a-Brick’: The New Century Challenge Donors’ Plaque. 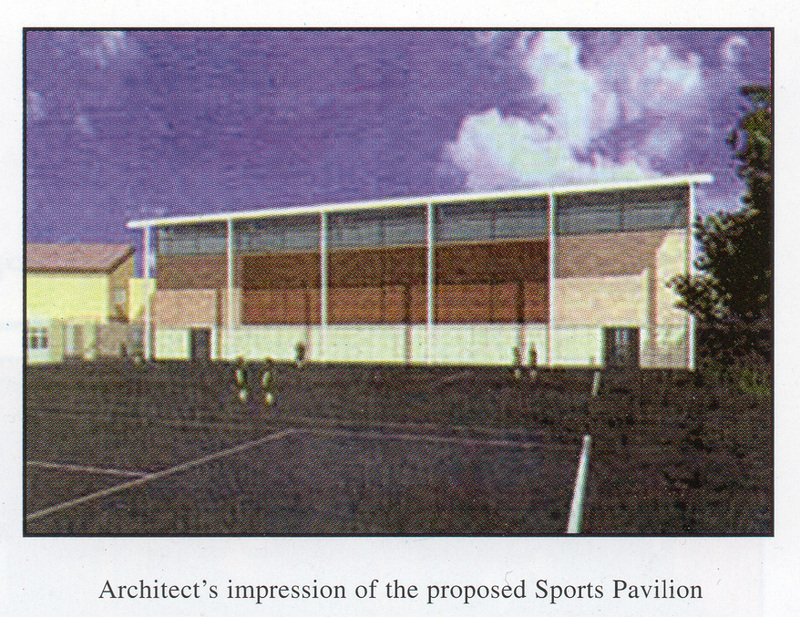 There’s no doubt The Sports Pavillion was successful in substantially upgrading facilities for sports and team games for the entire school. It also allowed a wider range of clubs & individual fitness activities. However, the hope was that it would also greatly extend the Church High campus by providing a new venue for larger school drama, music productions and other social events. But more of that later. 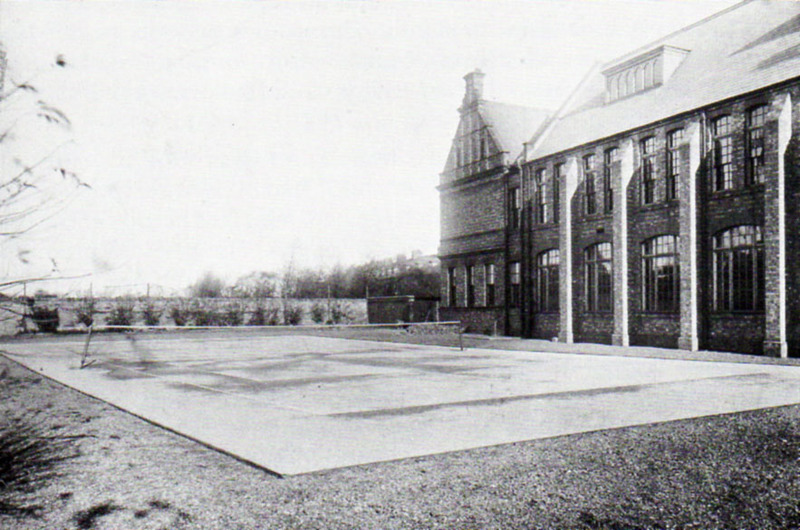 The plan was to build the Sports Hall, Dorothy’s pride and joy, on part of the existing tennis courts and link the entrance to the Junior School. 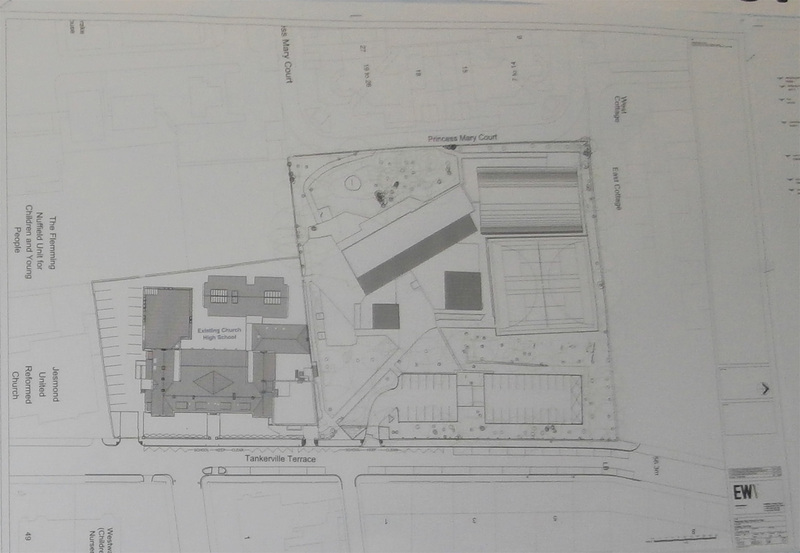 EWA architect’s site plan showing the Church High campus, including Sports Hall top right, as it was pre-merger in 2014. For many years, in addition to the rented school field we shared with Central, the tennis courts were integral to the life of Church High. Just after I arrived, the tennis courts were resurfaced in 1986. 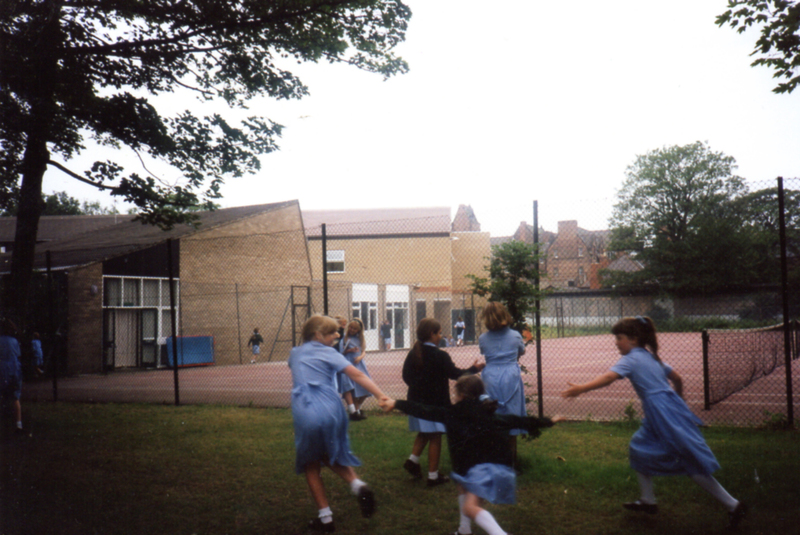 The red tennis courts in the early 1990s before both the Sports Hall & the Junior School Science extension were built. Right up until Church High merged in 2014, the tennis courts were where the School gathered for Fire Drills, though, thankfully, never for a real fire. To mark the School’s 110th Birthday, they were also memorably the venue for a celebratory blue & green balloon launch. 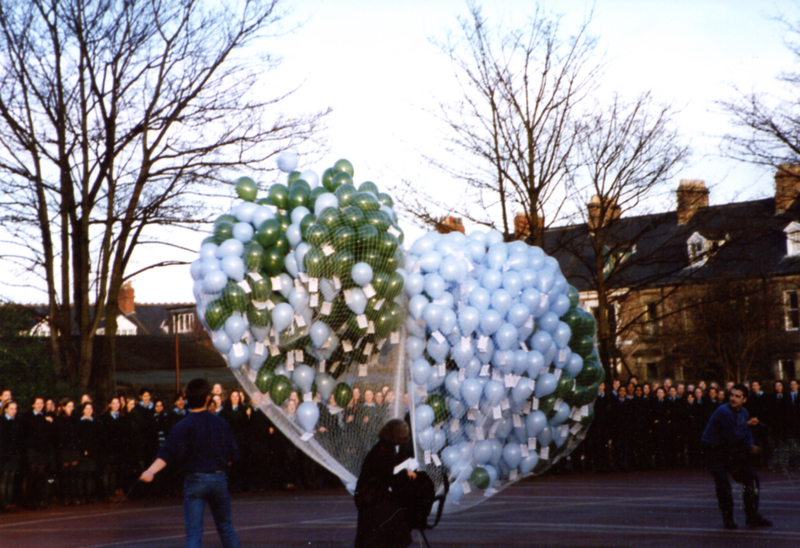 Miss Willett, Deputy Head, releases balloons at the start of a ‘balloon race’ for the School’s 110th Birthday in 1995. 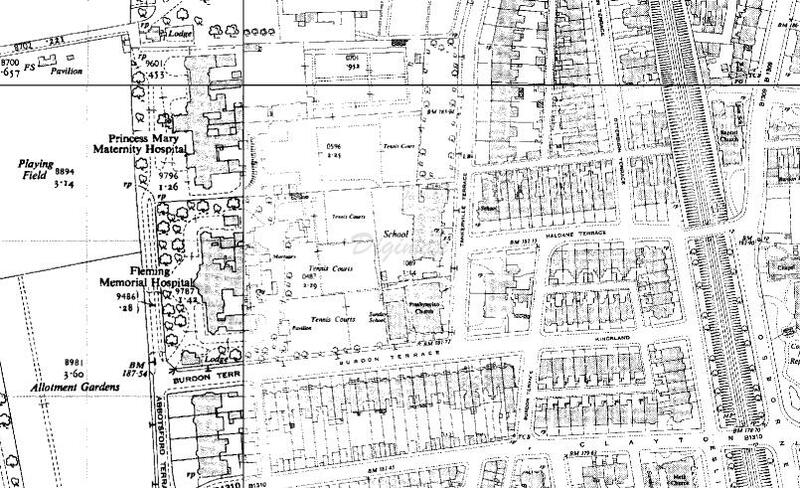 However, according to Miss Gurney’s 1918 plan of the Newcastle High site, the tennis courts were originally in a very different place. 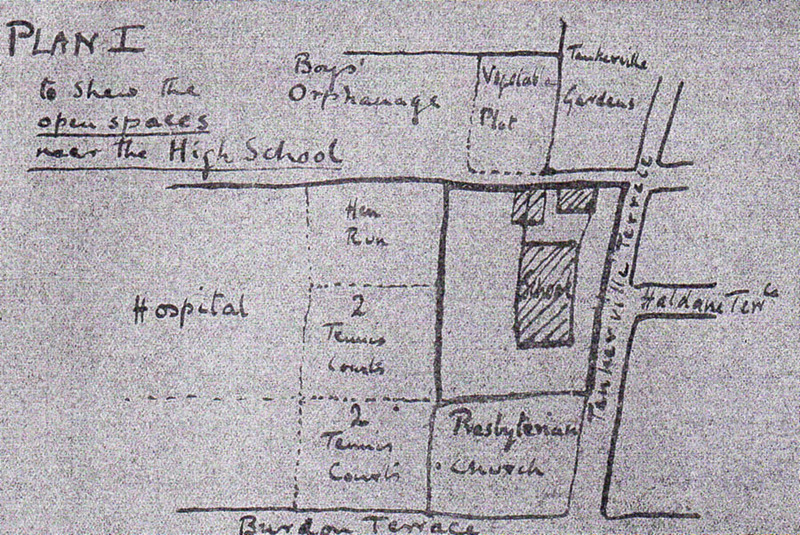 Miss Gurney’s 1918 hand-drawn site sketch now shows a walled school yard with two tennis courts further behind the school next to a ‘Hen Run’ on Fleming Hospital ground. 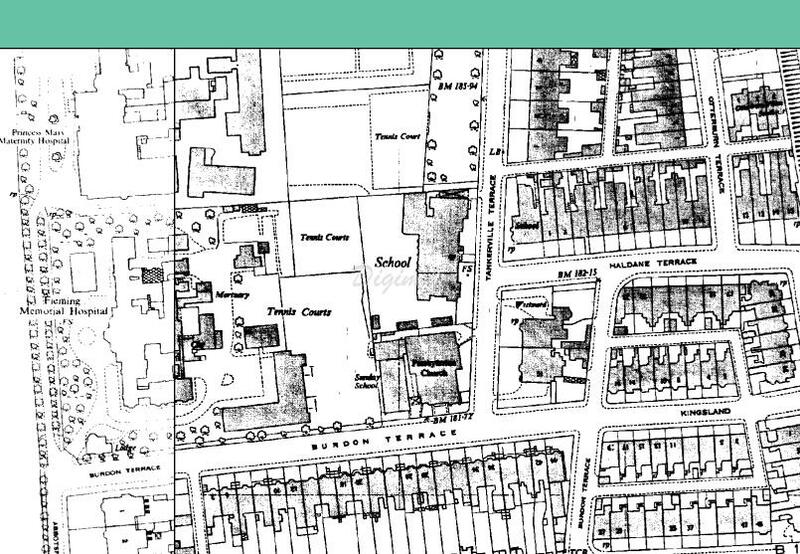 I am indebted to Giuseppe Ferrara for a series of early maps of the Church High site used during the redevelopment which show the gradual change in land usage on Tankerville as the school expanded. They also offer a fascinating insight into the growing importance of tennis as a sport at both Newcastle High and Church High School. 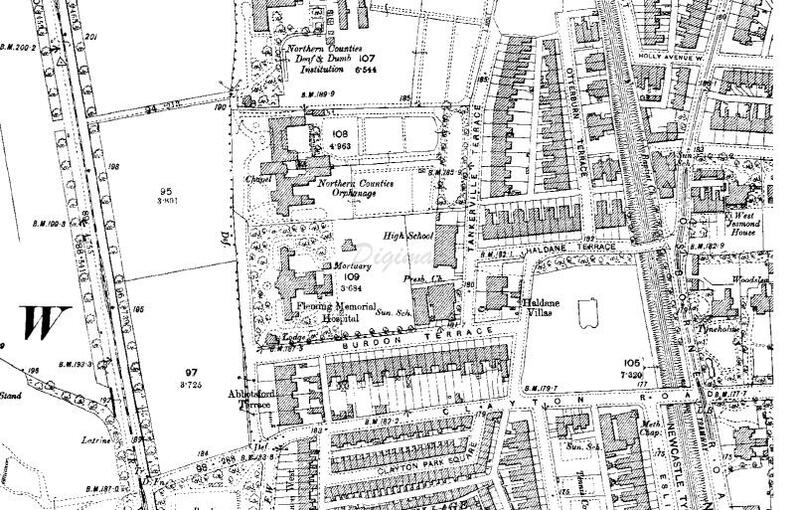 The 1890 map shows the school with only a small patch of land behind it. Fleming Memorial Hospital’s extensive grounds are to its west and Northern Counties Orphanage land and tree-lined Tankerville Gardens on its north side. 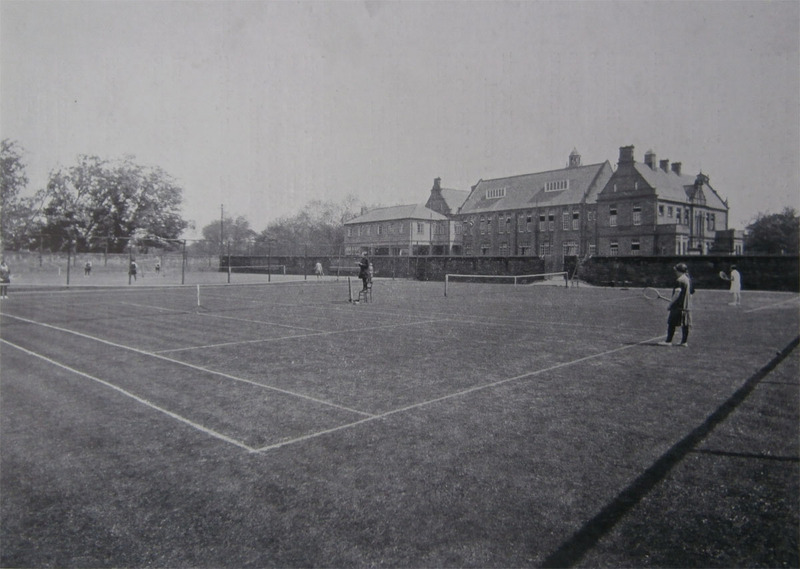 Tennis was obviously of paramount importance even then as this 1900 image from the Church High Centenary Book shows. Where one might expect a school yard, a tennis court was situated directly behind the original High School building. There are two illuminating references to sport and tennis in the 1935 Church High Jubilee Book. In her reminiscence of Newcastle High School as both a girl and teacher, ‘I Remember’, Miss Dickinson writes “When I came the only game that the School played was tennis, but we soon started hockey, first on the Orphanage ground, then on one of the moor intakes.” From this it is clear the Orphanage grounds were used by the school long before they became the Junior School. Alex Cowan (A.C.), one of the book’s joint editors, also mentions tennis in her own memoir, ‘The Glory and the Freshness of a Dream’. Writing about herself in the third person as a young girl, A.C.: “She enjoyed the games too; hockey on the Orphanage ground, and later on the fun of going away to play matches ….. 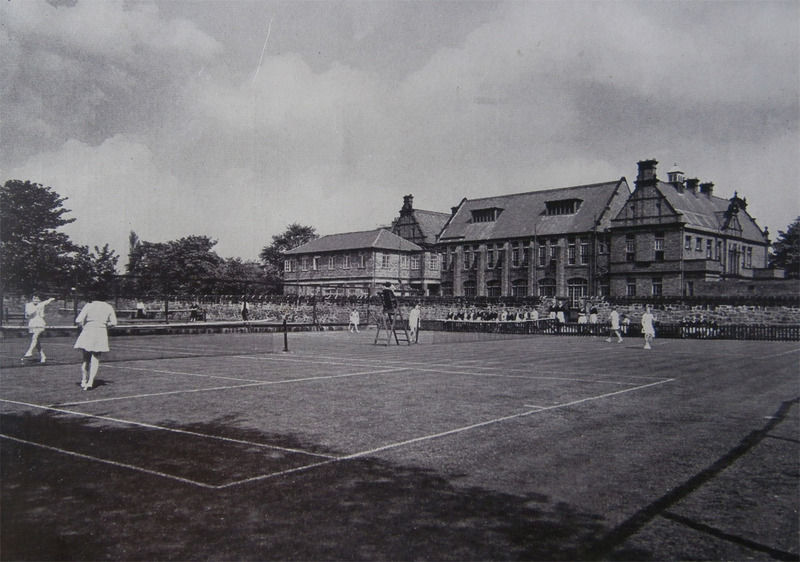 The summer term brought tennis, not a widely popular game, but she loved the scramble over the play-ground wall up and down a ladder, which for long was the only way of reaching the two courts on the Fleming Hospital ground.” Although this endearing account refers to ‘scrambling over’ the wall into the Fleming Memorial Hospital grounds, the following pictures reproduced in Newcastle High School prospectuses, clearly taken a little later on, indicate that by then, a double-gate had been created in the wall. 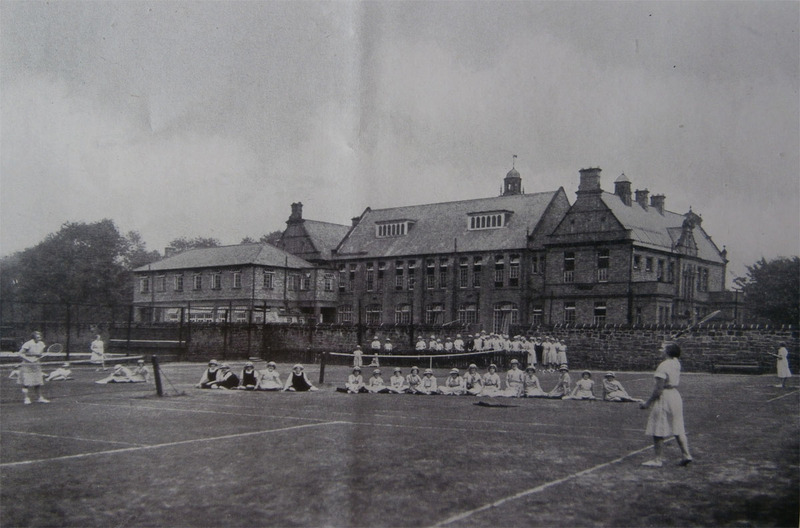 The School photographed from the tennis courts in the Hospital grounds. A double gate is now clearly visible in the wall. The presence of the Science Laboratory on stilts over the school yard indicates the image is from the late 1920s. The clothing and the fact the area beneath the Science Laboratory has now been made into classrooms indicates a later date, though because of the bell tower it is before 1951. 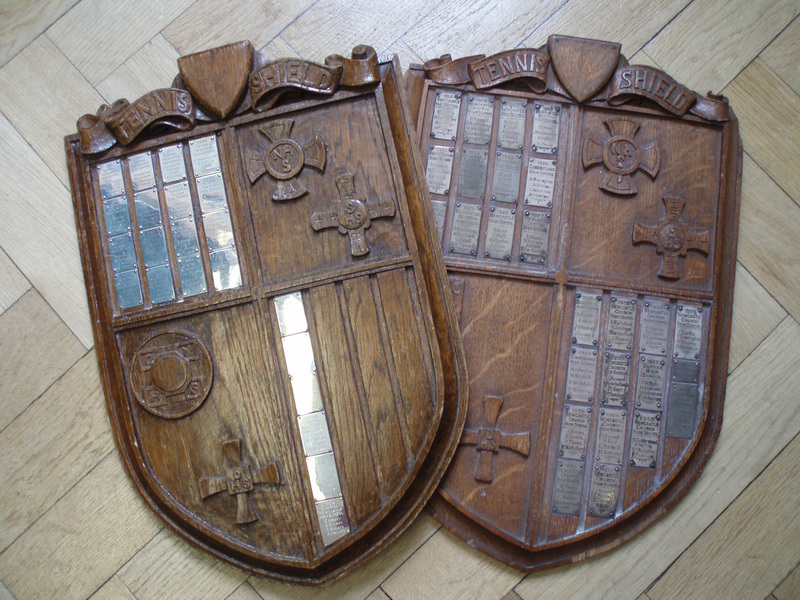 The ‘Tennis Shield’ was played for by the ‘four high schools’, even in my time. As I understand it, Church High were awarded the original outright when a second needed to be made. 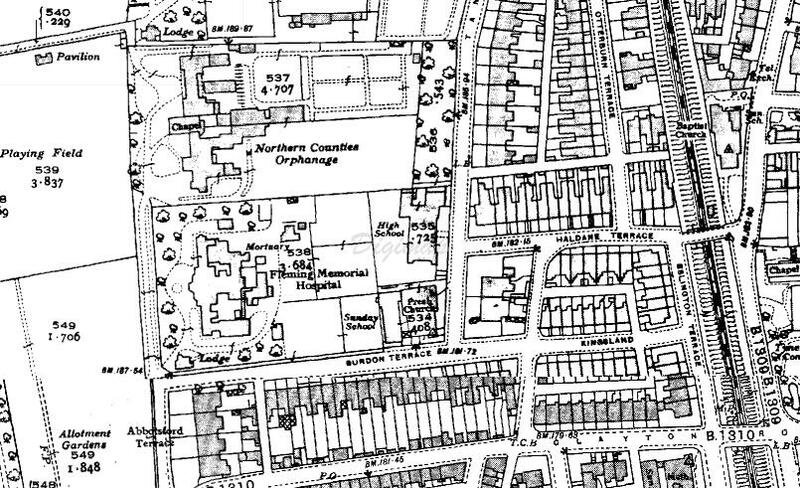 The 1940s map shows a section of land behind the Fleming Memorial Hospital has now become the ‘two tennis courts’. By 1950, these are now marked as tennis courts as is what was described by Miss Gurney in 1918 as the ‘Vegetable Plot’. This post 1951 image (note the absence of the bell tower) shows the Fleming courts ‘over the wall’ are still being used. By 1970, the land which is to become the Church High campus is a lot clearer. The tennis court and square of land to the north of the school became the Junior School in 1975 and the sectioned off area (only partly shown here) to the north of that the tennis courts and site of the Sports Hall. The Tankerville Gardens area (right) became a tree-lined staff car-park. 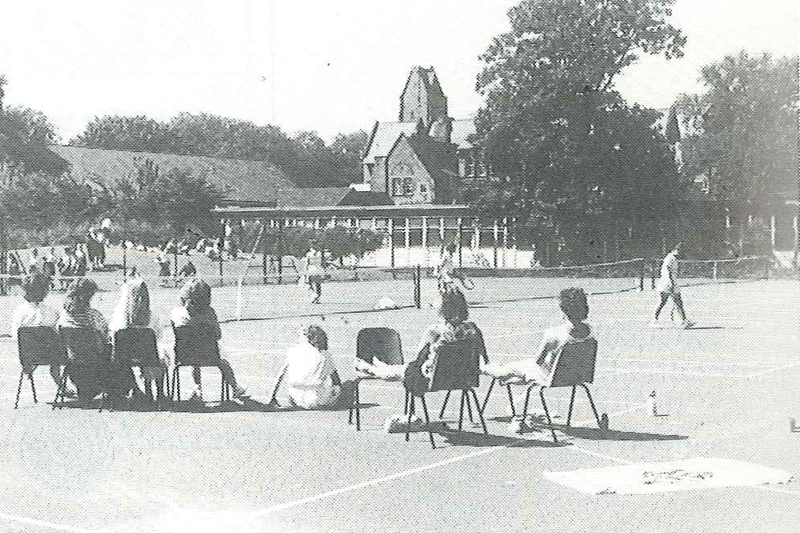 The sunny tennis courts after the creation of the Sports Hall. 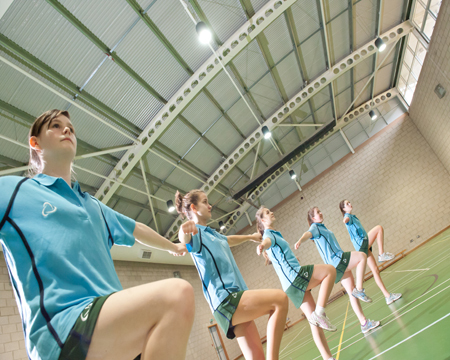 The creation of the Sports Hall meant fewer tennis courts at Church High than in the past, but it brought other benefits. As Lesley Smith had hoped, it became a key social venue. 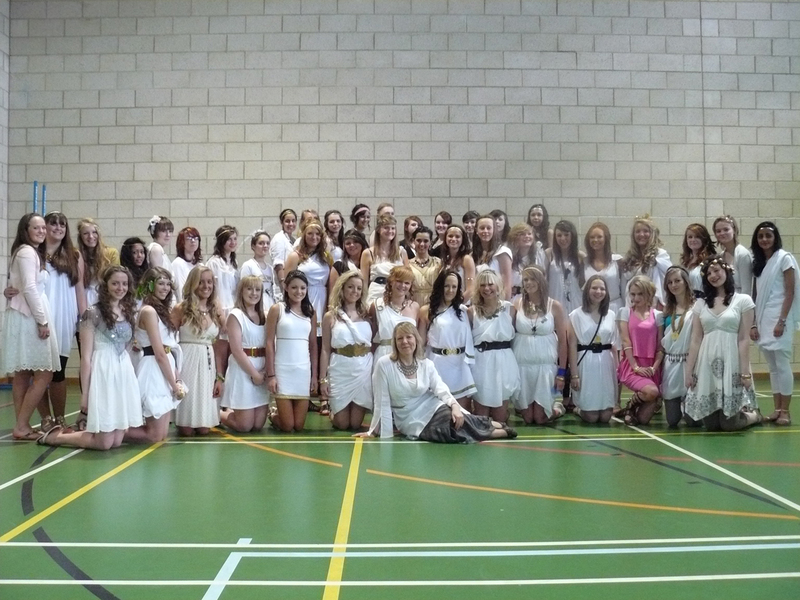 The Sports Awards Evening was held there every year and, as well as hosting the external examinations, it was occasionally used for Leavers events too. The Sports Hall set out for the 2013 Sports Awards Evening. 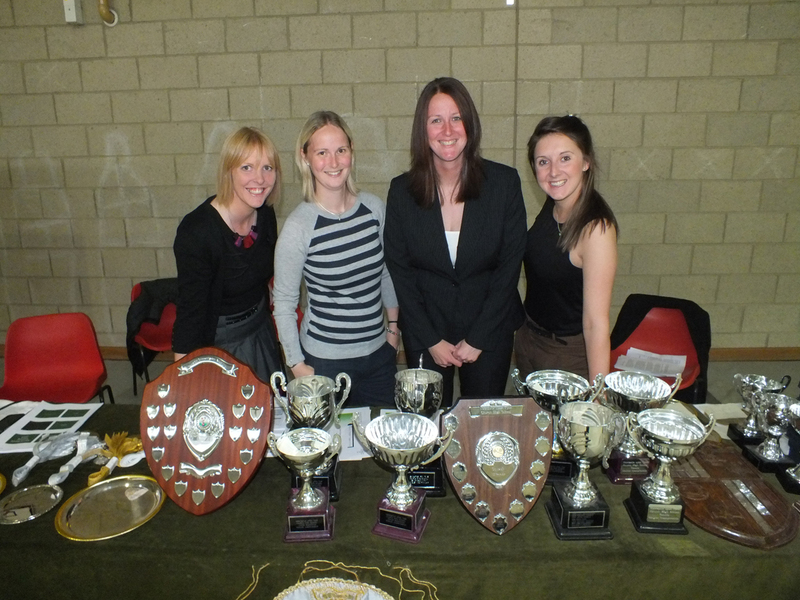 PE Staff hosts that night : Jean Burroughs, Delia Hefford, Caroline Fitzgerald (Head of Department) & Lindsey Thompson. Myself, Head of Year, with my Olympian 2009 Y11 Leavers. 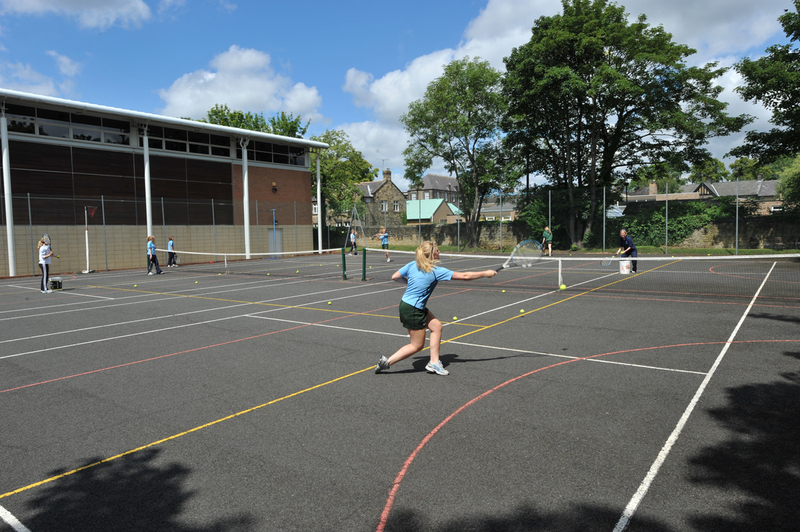 In 2011, the tennis courts were resurfaced with astro turf and were opened by Newcastle footballers. The event was covered by Sky TV. 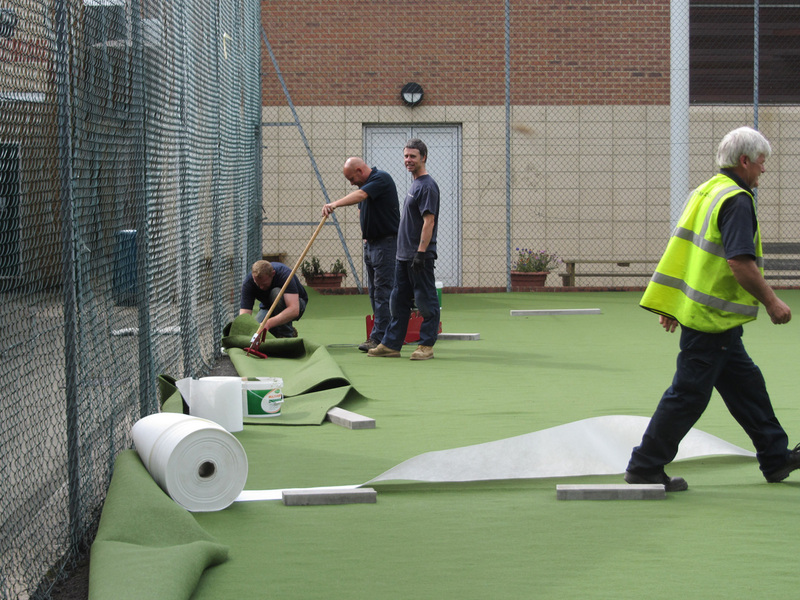 All weather astro turf being laid on the courts in June 2011. The first person to hit a ball on the surface was a footballer. 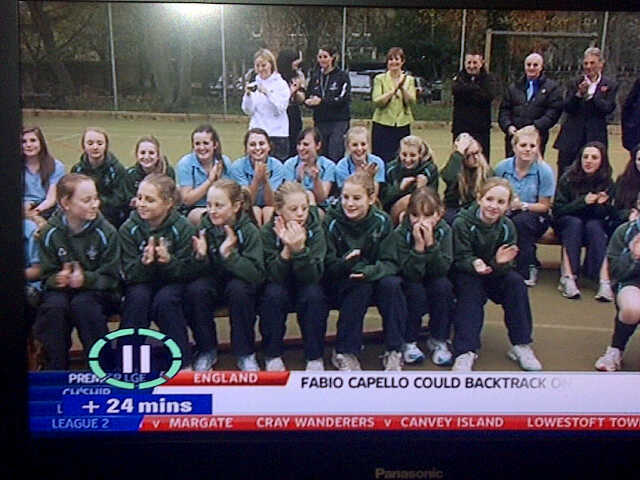 And the opening ceremony was featured on Sky Sports TV. 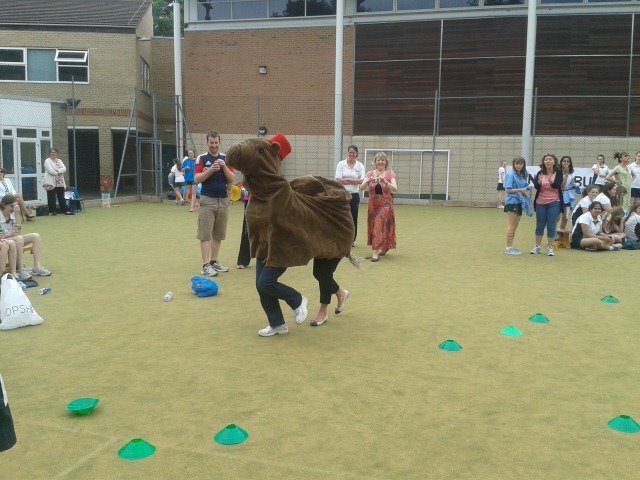 The astro turf made an ideal surface for House ‘Silly’ Sports Day. 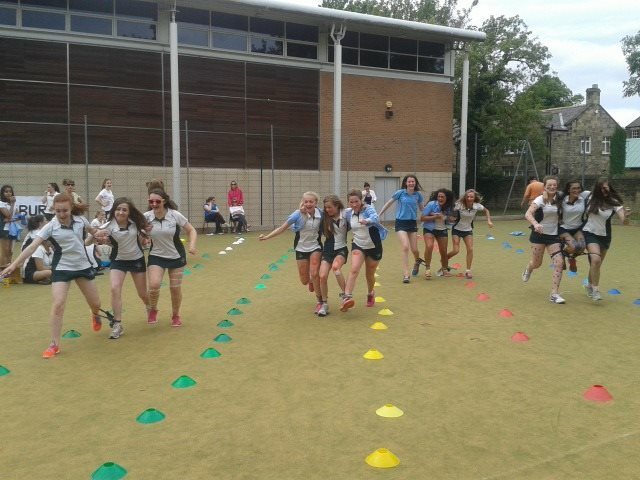 The Final House ‘Silly’ Sports Day in 2014: it was always a fun event 100% encapsulating the ‘spirit’ of Church High. 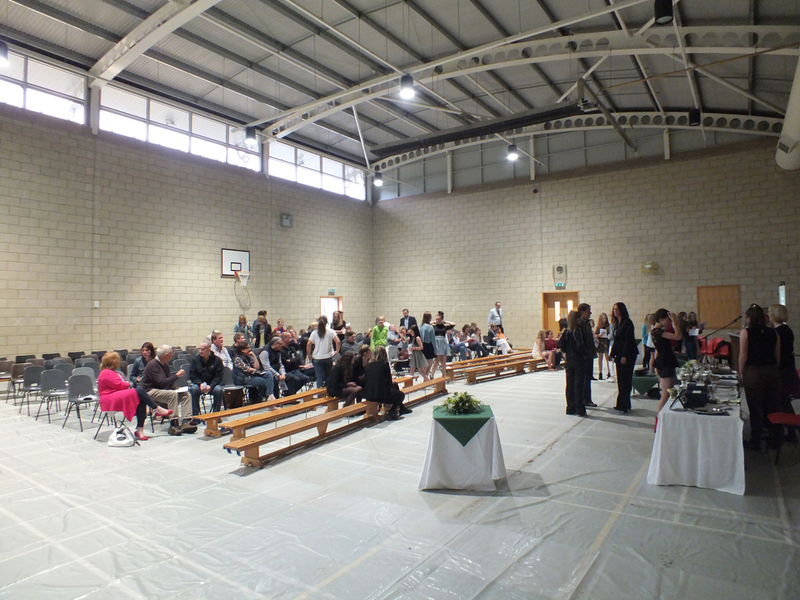 But surely most memorable of all, the Sports Hall provided the perfect venue for the School’s 129th Birthday Party, the last birthday of the building to be celebrated as Church High. The whole school attended from young to old and we celebrated with pizzas, fizzy pop, 4 House birthday cakes and a really fantastic ceilidh band. On the first staff training day of NHSG, a representative of GDST told the new joint staff that “GDST is not in the business of taking on failing schools.” If anyone was ever in any doubt about this, I’m sure this post and the vibrant images below show just how true this was. Celebrating the School’s 129th Birthday in the Sports Hall. I remember that last birthday. I can see myself and David Cocallis at the back in the last photograph stuffed full of pizza! Yes, I remember the last birthday too. I recall it slightly differently, mostly Steven Farell trying to locate as many slices of pizza as he could. I remember thinking how could anyone eat that much pizza and still not be sick? Happy days! Gentian had all the pizza! !